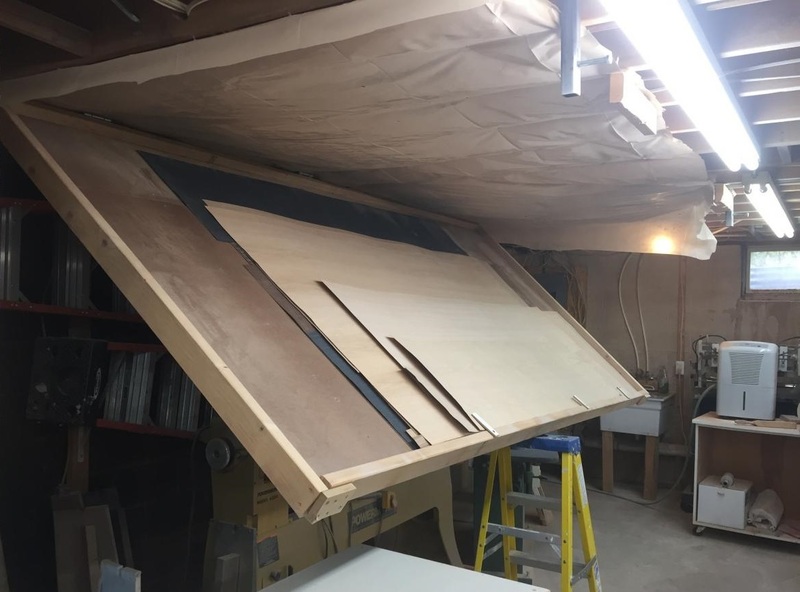 This ceiling-mounted veneer storage device makes for a convenient place to keep random extra sheets of veneer so they are handy for small jobs. Over the years, I have accumulated a number of pieces of really nice veneer. You know how it goes, you order an extra sheet or two – just in case – and at the end of the job you have three left over. Rolling them up became too cumbersome with cardboard tubes in racks and standing on end. What I really wanted to do was to store them flat so that they would be ready to go when needed, but I did not have room in my shop for a flat veneer/plywood rack. I did, however, have some square footage on the ceiling. 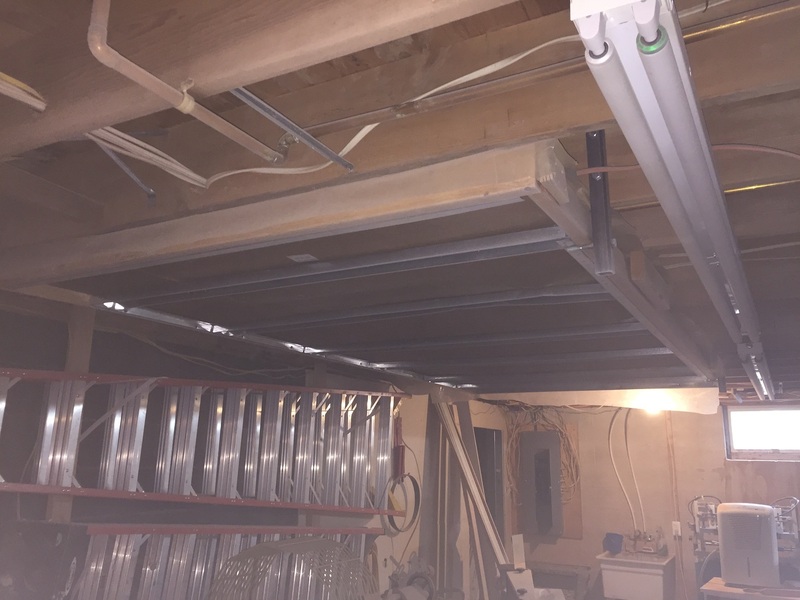 A quick trip to the home supply store to get some metal studs, 1/8-inch hardboard, heavy-duty hinges, some custom catches made of 1-1/2-inch tube steel and ½-inch bolts, and a few hours of work led to my ceiling-mounted veneer rack. Bolts going through square steel tubing serve to hold the hinged storage container in place on the ceiling. It will fit 5x10-foot sheets with no problem. A wooden brace holds it up while I undo the bolts and then lower it down, using a small step ladder as a stop. 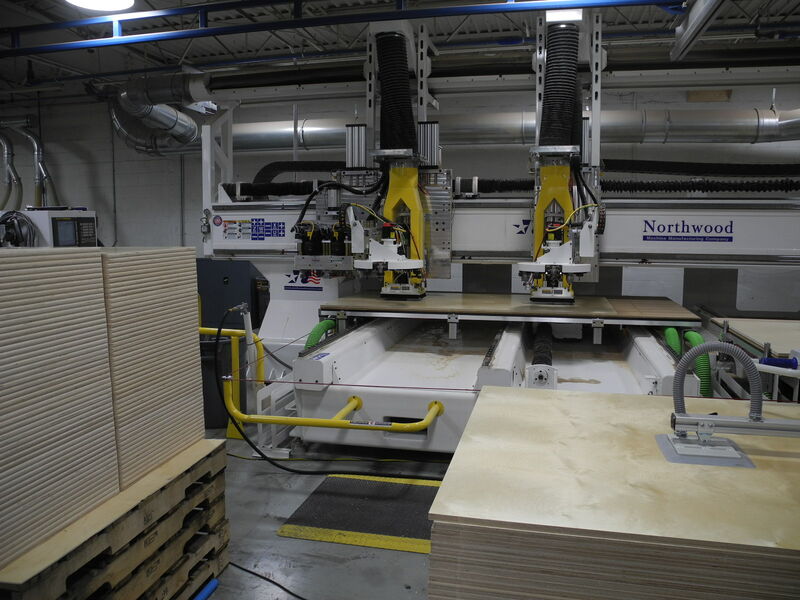 This has been a great way to hold on to those extra sheets of veneer, which has paid off from time to time for smaller jobs – like bathroom vanities. James started Fox Woodworking, LLC (previously LIGNEA) over fifteen years ago. 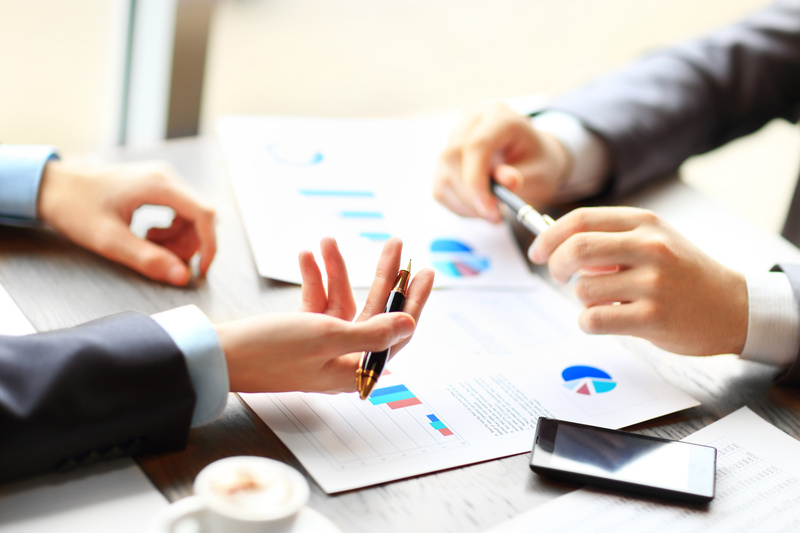 Over those fifteen years, he built a loyal client base who consistently return for his services on their newest endeavor. He also enjoys meeting new clients as Fox Woodworking continues to grow. If he is not in the shop working on the latest project or in the office planning for the next one, he is probably studying a foreign language and dreaming of his next trip. James is also a member of the Cabinet Makers Association.